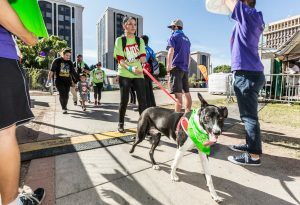 Every year, AIDSWALK enjoys the company of lots of four-legged friends. We started a pet program called Paws for AIDSWALK to encourage our furry friends to participate in walking and fundraising for AIDSWALK. Register your pet and build a pet fundraising webpage and email the page to friends. Every registered pet will receive an AIDSWALK bandana. Dogs are welcome, but we ask that you consider the following rules when bringing them to AIDSWALK. Dogs must be family friendly and on a leash. Please be prepared to clean up after your own pet. 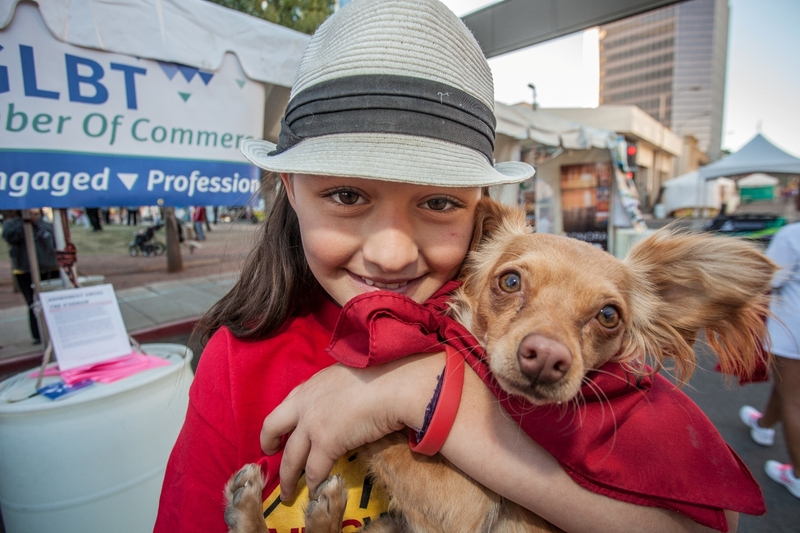 AIDSWALK draws crowds between 1,000 or more, so make sure Fifi is comfortable with this!